Ex-500.com - The home of the Kawasaki EX500 / Ninja 500R > Forums > Polls > <<New Poll!>> Who manufactures your helmet? View Poll Results: Considering your current most frequently used helmet, who is the manufacture? <<New Poll!>> Who manufactures your helmet? Please mark your answer. You are allowed to choose only one manufacture as this pertains to the one helmet you currently use most often. If your brand is not listed, please do not select any choice. Please list your manufacture as a reply to this post. It will be added to the list, and you will be informed that the list has been updated. At that time, to keep the queue clean, your post will be removed. Please do not post the choice you've made unless it is not listed as afore mentioned. If you've made a choice in error, you are allowed to change it by clicking on the appropriate link at the top next to the poll options. Re: <<New Poll!>> Who manufactures your helmet? Question - My Joe Rocket helmet was supposedly manufactured by HJC and rebranded - pick the sticker or the true maker? If you are going to do something do it with conviction! 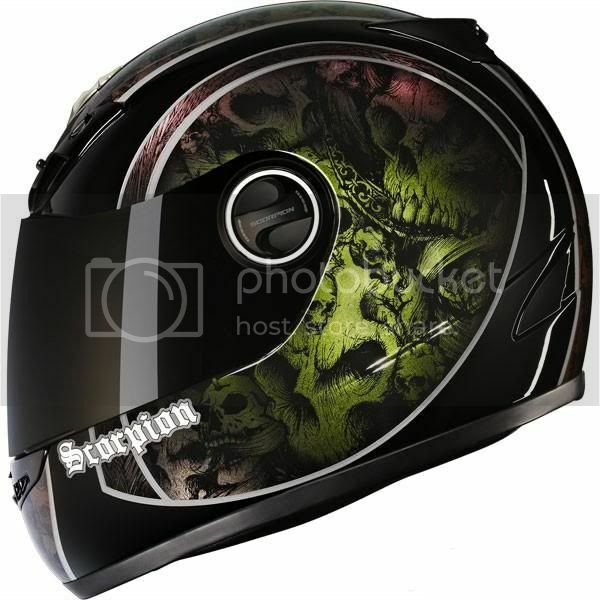 Scorpion EXO-400 Skull bucket here. I got the chameleon green one. Through adversity, there is redemption. If it floats...flys...or f*cks...its cheaper to rent it. First helmet KBC. Just got a GMAX a few weeks ago. first helmet was Novak Cobra. Then an FM Endor. Then another FM Endor. Then an FM W10. Then a Lidl helmet. all cost under £100 and pass the same safety tests as helmets costing 5 times as much. 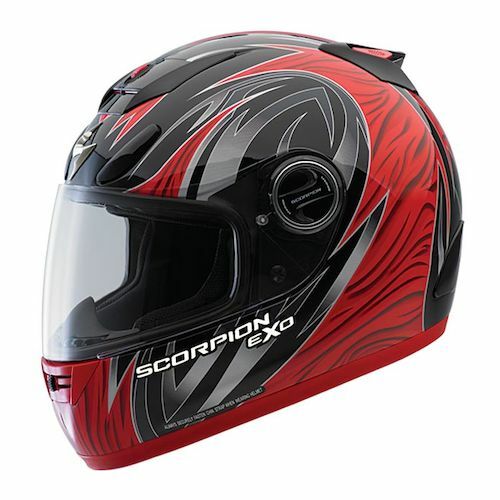 Scorpion EXO 700 here, got it for 60 bucks used but brand new only used once no flaws or anything. Added memory foam to the incerts and i am in heaven!! - The Original and the BEST! Not on the list but, Built Fusion. Hmmm. I saw this poll for the first time, popped in my answer of HJC, and was surprised by the numbers. I would never have thought that HJC was all that much more popular than other makes.